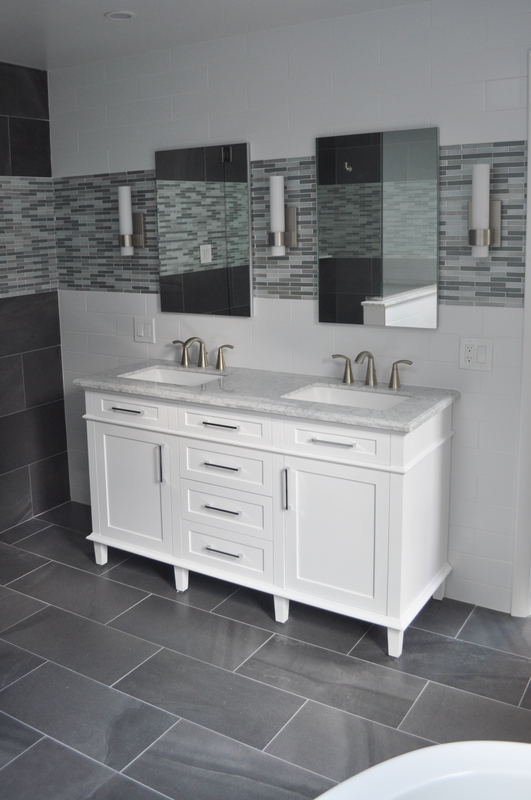 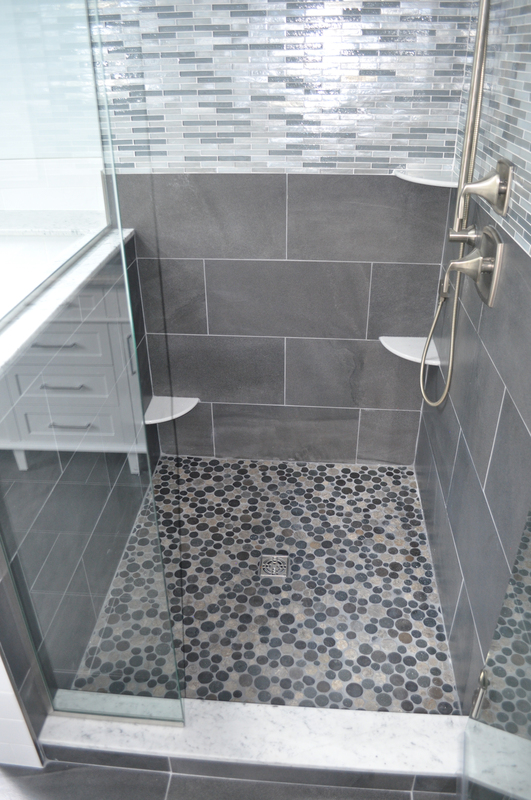 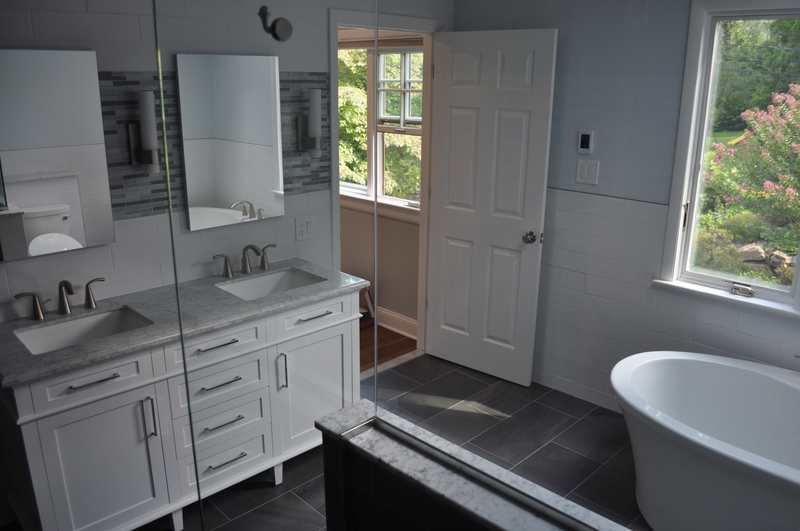 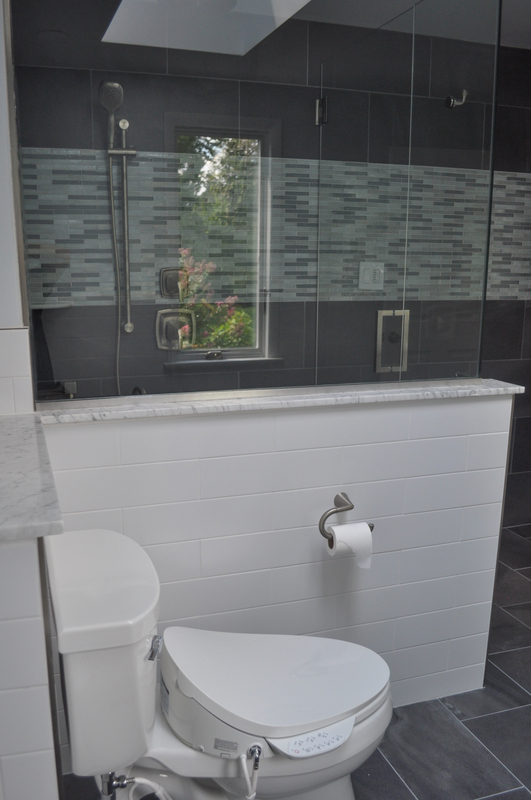 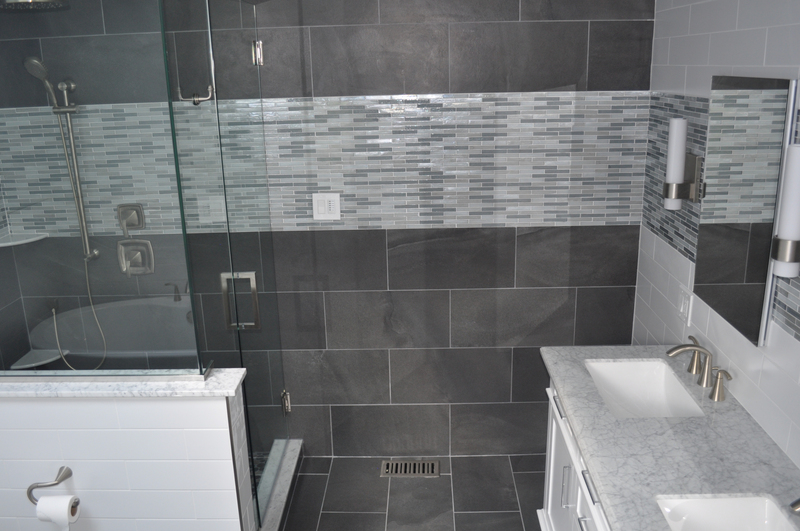 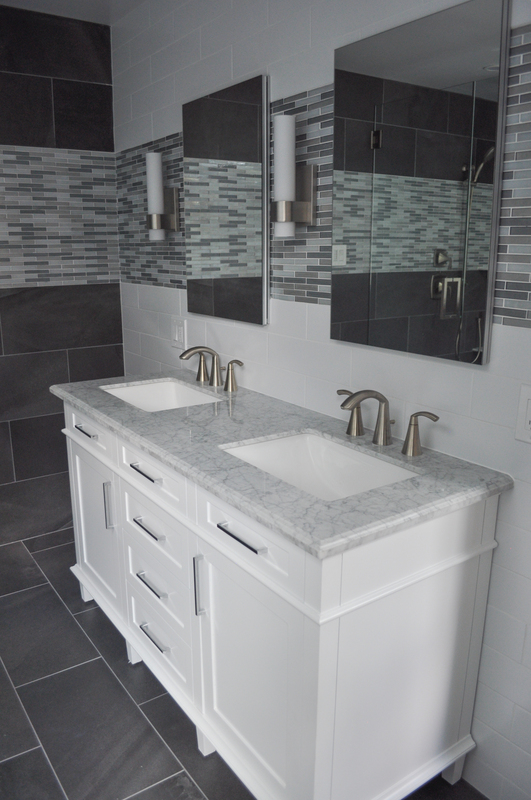 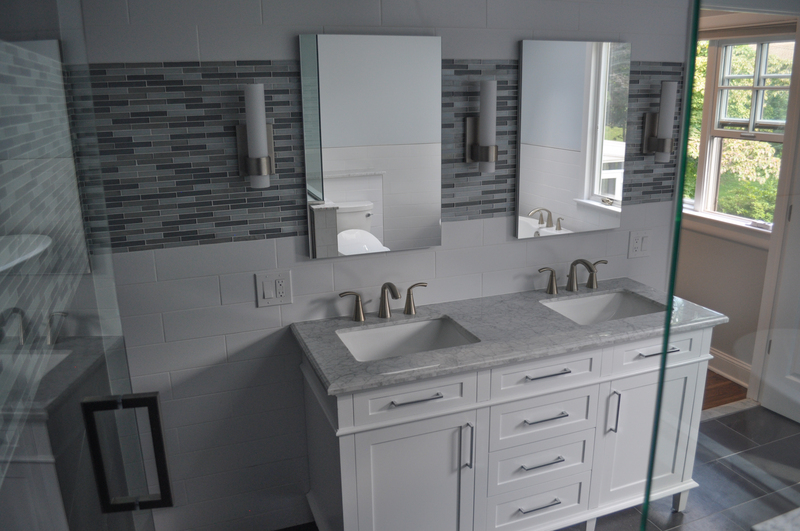 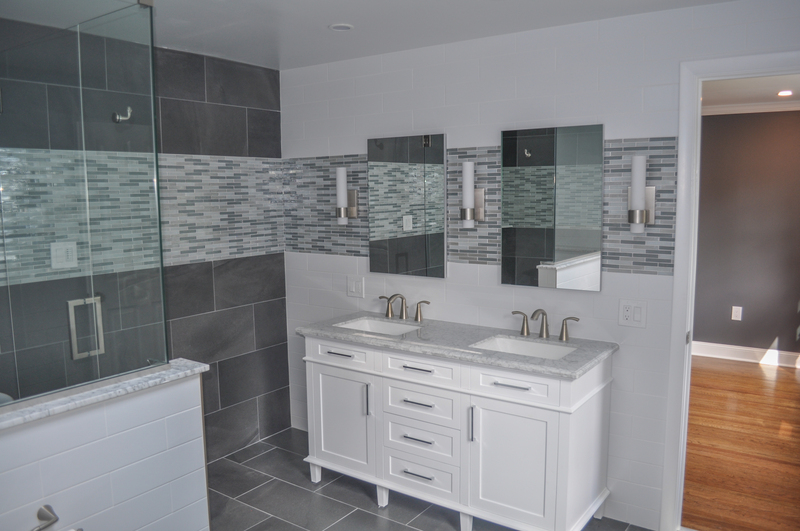 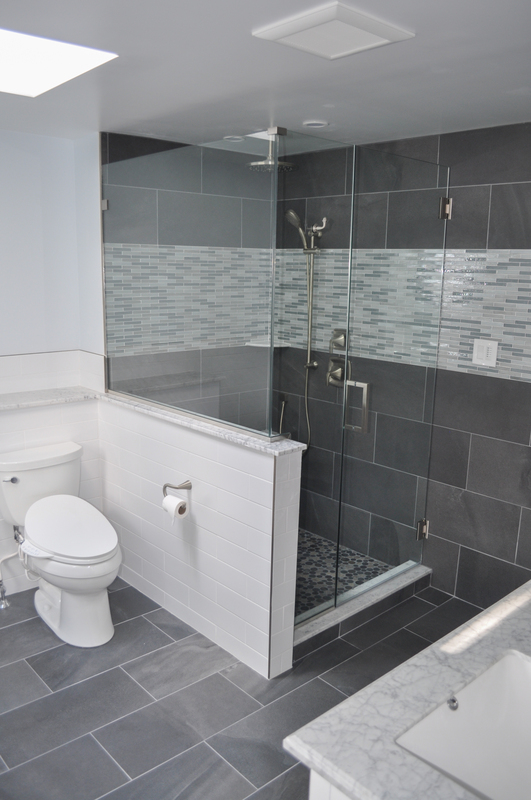 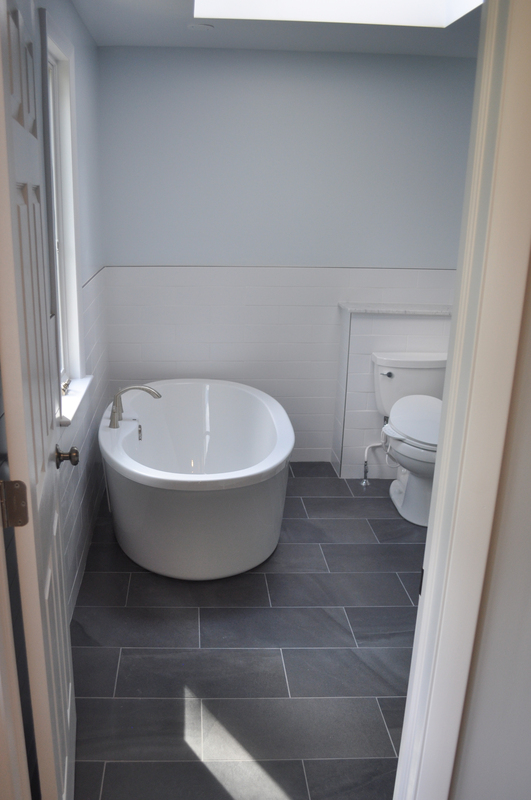 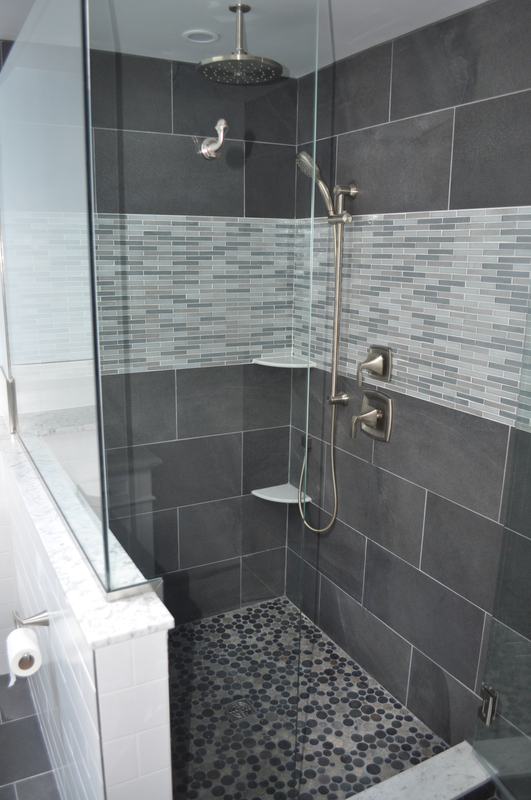 This bathroom includes a beautiful mix of tiles in various shades of gray. 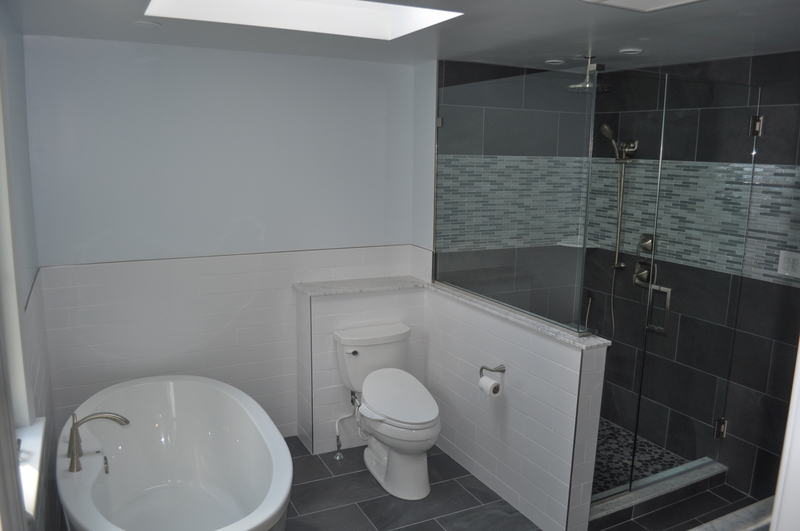 With natural light pouring in from the windows and the newly installed skylight, the result is a tranquil retreat, right in the center of your home! 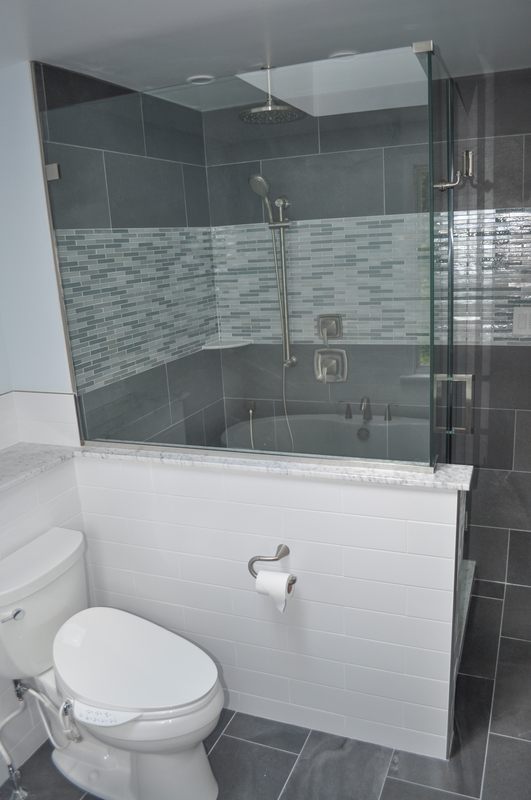 From the relaxing, deep-soaker tub to the stunning glass-enclosed shower, this is a master bathroom you may never want to leave.